This month the Minnie Moms and I are discussing sleeping away from home; how we help our children and ourselves have the best possible rest while traveling. Amy: Tink has always been a good traveler and loves a hotel bed. She's three now and it's fairly easy to get her to sleep away from home. It can take a while for her to settle down from the excitement of the day but following the usual routine helps: bath, brush teeth, stories, songs, bedtime. Depending on where we are and who is there, she may sleep alone or with me and/or my husband. On our most recent Walt Disney World vacation in May 2012, the girls and I tagged along with my parents and stayed in a one-bedroom villa at Old Key West. The living room has a sleeper sofa and a sleeper chair. The chair made a twin bed that was perfect for Tink. Minnie and I shared the larger bed and she did just fine. Both girls were exhausted by the end of the day so it wasn't too hard to get them to sleep. Pack 'n Plays are in the DVC resorts and are available on request everywhere else. We have attempted to use one in the past with Tink but didn't even open it up for Minnie this time. I set one up for her at Hilton Head in January and it just served as a safe place for her to play. I always pack the girls' loveys and favorite blankets. I have on occasion packed a nightlight but we have also made do with a bathroom or closet light at Disney or when staying with family. For Disney trips, my mom bought a couple of fans years ago and always carries them. When those are not available, we use a white noise app on my iPhone. My husband and I learned the hard way that pushing on farther on a road trip just meant that Tink fell asleep in the van around her normal time and was wide awake and ready to play once we stopped for the night. If you can, I think it's better to stop earlier than you'd really like and get the kids fed and into bed closer to their regular time. The odds of the whole family being able to rest increase and you can wake up a little earlier to make up the lost time. I've found it's best for me to restock the diaper bag/backpack in the evening when we return to the room. It saves time in the morning and lets me enjoy a little extra shuteye on those rare occasions when the kids sleep in. We know that we may not get the best sleep while away from home since the girls are so small. Sometimes they do fight us or we've traveled with a tiny baby who still takes ages to get to sleep or the available bed is too small. You have to get out and go anyway. If we waited until the conditions were ideal, we'd never go anywhere. Danielle: I am extremely lucky because my children are very adaptable when it comes to sleeping away from home. I attribute this to the fact that they have been sleeping away from home quite frequently since they were babies. We lived five hours away from my parents and were often visiting them for weekends. 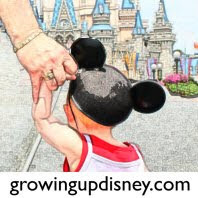 We also started vacationing at Walt Disney World (WDW) two times per year with each child since they were less than a year old. My main piece of advice is to make it as similar to home as possible. I started having my children sleep in pack n plays at my parents' when they were babies so they became used to that and can sleep in any pack n play no matter where it is: someone's house, WDW, Mexico, cruise ship, etc. Something else that I have used with my kids from birth is white noise to help them sleep. Claire is 3 and has just recently stopped using the white noise at night. I have the white noise app on my iPod and bring that iPod with me each time we sleep away. Luckily in WDW, the Disney Vacation Club villas come equipped with an iPod docking station, as do the cabins on the Disney Cruise Line. Otherwise, I purchased a travel docking station that I bring with me. Having that white noise, I'm sure, is a familiar sound to help them fall asleep, and it also blocks out noise that is inevitable when the whole family is sharing a hotel room. A newer issue that has surfaced since Claire has outgrown the pack n play is how to secure her in big beds while we're away from home without having to rent bed rails. What we do is place the throw pillows from the bedding underneath the fitted sheet to provide some soft barriers for her. It has worked like a charm and is free! Lastly, when we are all in close quarters, we try to keep the kids as far from each other as possible (to minimize the chance of them waking each other up). We always rent a one-bedroom DVC villa at Disney's Animal Kingdom Villas - Jambo House when we go to WDW. My husband and I take the bedroom, Claire is either on the sleeper chair or sleeper sofa in the living area, and Max is in the pack n play. We always place Max's pack n play in the kitchen and, believe it or not, if the villa's closet is big enough, he sleeps in there! Now, we keep the doors open, but the closet provides just the right amount of privacy to help him drift off to dreamland without being distracted by his sister in the next room. That being said, they are really good even if we are unable to spread out in a villa. On our recent Disney cruise, they slept right beside each other (for lack of space) and did great. Space, white noise, etc. is not always necessary. The key is... Exhaustion. On vacation, they are so tired at the end of the day that it is very easy for them to fall asleep no matter what the circumstances! Janine: Tink has never napped or slept too well.When I nursed her full time she would sleep anywhere, so long as it was on me! She didn't sleep in her cot on her own til she was 18 months as we co-slept. So again, she slept anywhere, so long as it was next to me. Thankfully she is better now. She does nap in her cot, but only in her cot, not in her stroller or in the car. And she stays in her cot all night, although she still doesn't sleep through. So what tips do I have for when we stay away? We try to make her surroundings as familiar as possible and keep to routine as much as we can. I take all her bed clothes from home so she has her own sheets, sleeping bag and her special Cinderella blanket. We use a bedtime lavender spray at home so that comes with us. We bring a few toys from her bed (always Minnie and Mickey and whoever else is in favour) and her bedtime cup for her milk. We read stories together, then I sing to her. I often let her fall asleep holding my hand. And we always take her princess nightlight, which is a torch for reading too. She doesn't like the room pitch black although she needs it to be almost silent, any background noise just distracts her. This might seem like a lot to take and to bother with for some people but it seems to work for us. I have a case full of her familiar things to take with on our trip to France (she has a travel cot over there) and will take a lot of it to Florida later this year. 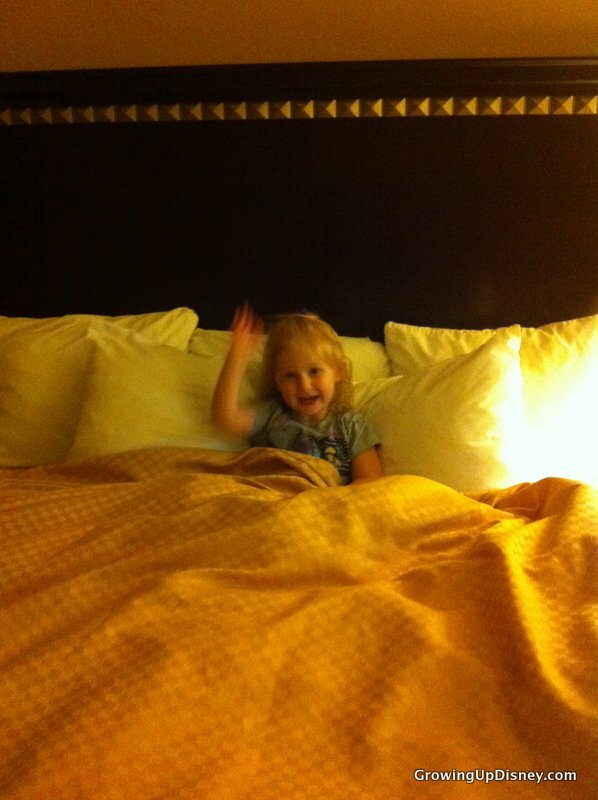 That will be slightly different as she will be sharing a bed with me for the holiday. She is a real starfish in the bed, arms and legs everywhere and a duvet stealer ;-) I'll be looking forward to getting back to my own bed by then end of it lol. Natalie: Taking a vacation and spending time away from home can be difficult many times. Some of my worst experiences include loud guests in the room above jumping on beds, children running up and down the hallways outside the room, or small babies crying in the room next door. I am quite a light sleeper. Once I wake during the night, I typically cannot go back to sleep. To help me out, I bring along a fan. I always choose a fan that is a bit older and makes a bit of noise. I find that the extra fan noise provides enough white noise that the I am not able to hear others making ruckus. Other simple solutions for this same problem are to download apps on your phone such as "White Noise Lite" or "Relax Melodies" which plays soothing music to help drowned out any unwanted noises. If you prefer silence while sleeping, purchase some ear plugs. They typically cost less $5 and eliminate nearly all possibilities of sound issues. A big thanks to Danielle, Janine, and Natalie for joining me on today's post. Two of them are currently traveling and I hope they get a great night's sleep. Please visit our Minnie Moms page for all our past topics and more information on our whole team of moms. Have to give son and his wife credit for training the twins to travel well. Last summer while stranded in WDW due to Hurricane Irene, we watched the boys (then just short of 2 years old) one day while son and wife had something to take care of. 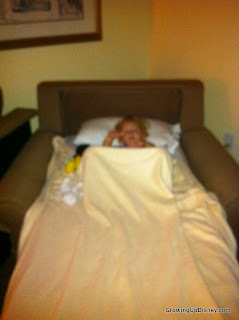 They got to our room at Boardwalk at their nap time (we had the resort bring cribs) and they willingly took their nap. We then spent the day at DHS and when we returned THEY asked for their "friends" (Tigger, Lady, Tramp) and told US it was time for bed!